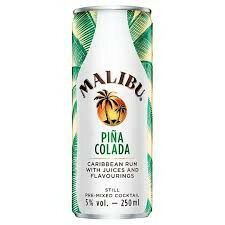 Malibu & Pina Colada is the original summer cocktail, a blend of coconut and pineapple. We have taken the iconic cocktail of summer and made it ready to drink. Alcohol Strength: 5% Pack Format: Cans.